1. There are only two ways to live your life.One is as though nothing is a miracle.The other is as though everything is a miracle. 2. Life is like riding a bicycle.To keep your balance,you must keep moving. 3. If you want to live a happy life,tie it to a goal,not to people or things. 4. Anyonen who has never made a mistake,has never tried anything new. 5. Stay away from negative people.They have a problem for every solution. 6. Education is not the learning of facts,but the training of the mind to think. 7. If you want your children to be intelligent,read them fairy tales.If you want them to be more intelligent,read them more fairy tales. 8. I am thankful for all of those who said No to me.Its because of them I'm doing it my self. 9. In order to succeed,your desire for success should be greater than your fear of failure. 10. You have to learn the rules of the game.And then you have to play better than anyone else. 11. Look deep into nature,and then you will understand everything better. 12. If you can't explain it simply,you don't understand it well enough. 13. You never fail until you stop trying. 14. Imagination is more important than knowledge.For knowledge is limited to all we know and understand,while imagination embraces the entire world,and all there ever will be to know and understand. 15. The most beautiful gift of nature is that it gives one pleasure to look around and try to comprehend what we see. 16. If people are good only because they fear punishment,and hope for reward,then we are a sorry lot indeed. 17. I am happy because I want nothing from anyone. 18. Once you stop learning,you start dying. 19. 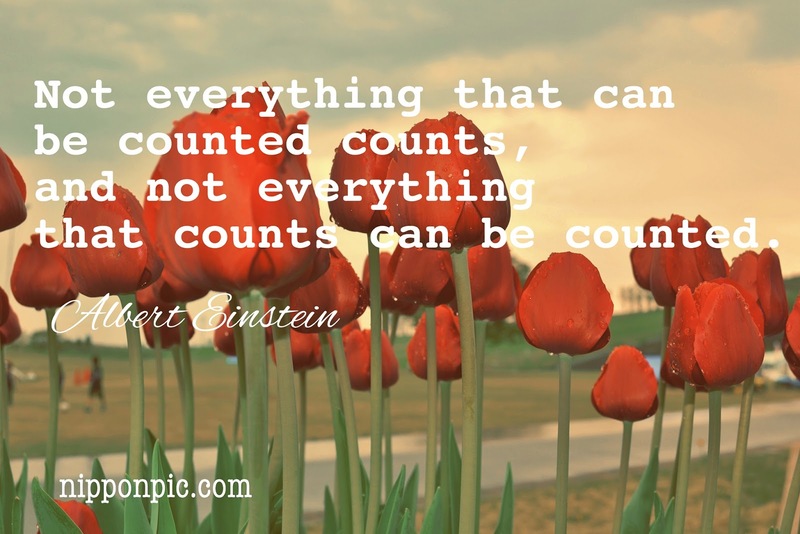 Not everything that can be counted counts,and not everything that counts can be counted. 20. Learn from yesterday live for today,hope for tomorrow.The important thing is not to stop questioning.